SP1-5.2NS 5.25-5.85 GHz, 1' Standard Parabolic Ant, w/ Fine Adjust - Talley Inc.
1 ft Standard Performance Parabolic Reflector Antenna. Radio Waves designs and manufactures Standard Performance (SP), High Performance (HP) and Super High Performance (SHP) series for terrestrial microwave point-to-point applications. These antennas support Telecoms, Enterprise and Industrial applications. 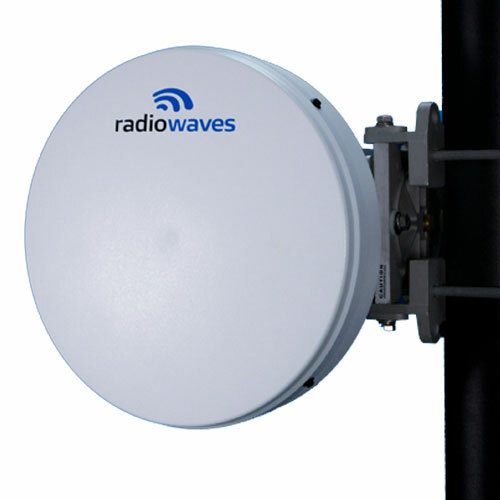 They are available as single or dual polarized antennas and support standard frequency bands from 1.3 to 86 GHz. The products include 1 ft. (30 cm), 1.5 ft. (45 cm), 2 ft. (60 cm), 3 ft (90 cm), 4 ft. (120 cm), 6 ft. (180 cm) and 8ft (240 cm) diameter antennas. Mounting Hardware Vert. Tower Mt included for 1.0-4.5"